"Hi! My name is Nicole. 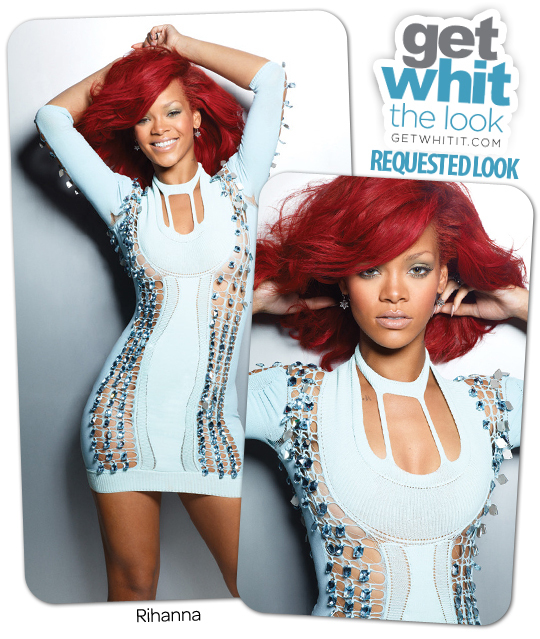 I was online and currently saw Rihanna in a very beautiful white dress. She was on the cover of Cleo Magazine (Australia). Is there any way you guys could get the info on that dress....?" Well Nicole, the images of Rihanna in that dress were first spotted in the photoshoot from the December 2011 issue of Marie Claire UK. She was wearing a Mark Fast dress from the Spring/Summer 2011 Collection. The dress isn't available online, but you can check out more from Mark Fast on their official site.